Despite our endless obsession with Second World War history, it feels extremely rare to come across a story like this one. The subject of a 2016 documentary, Brunhilde Pomsel was a secretary under Goebbels in the German propaganda office. But, when she was recollecting her life, she insisted she did nothing wrong. “I didn’t know,” is her refrain, a line she clings to like a child to its mother. 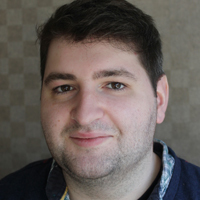 It’s easy to assume that all Germans in the 1930s and 1940s were Nazis, and if they weren’t, then it’s because they were Jewish. But nations don’t divide so neatly. Pomsel was a normal German citizen, she had Jewish friends, she was just doing her secretarial job. 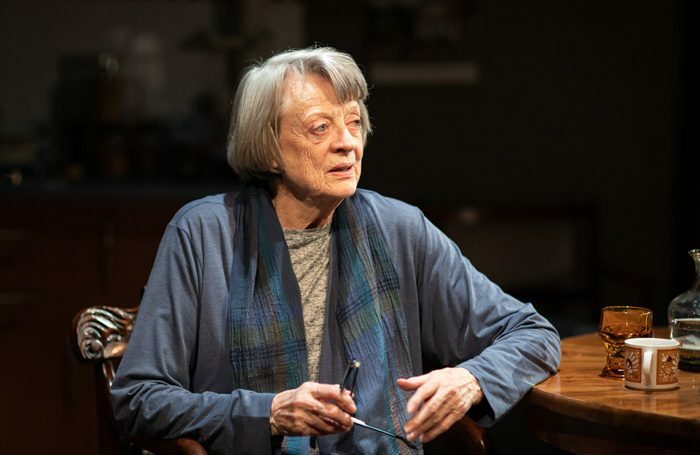 In Christopher Hampton’s new play about her life, Pomsel is played by Maggie Smith, the de facto doyenne of British acting, returning to the stage for the first time in 11 years. Her Britishness is almost a provocation in this context: we’re so ingrained with the fact that we won the war. But imagine if we were German, if this was our mother or grandmother. How on earth does an individual, let alone a nation, begin to process that history? That guilt? Jonathan Kent’s production is a clever one, subtle and effective. Smith sits on a chair in Anna Fleischle’s busily decorated set, a large room in the nursing home where Pomsel now lives. She’s a little hunched, her feet pointed inwards, wearing comfortable clothes of varying blue hues. To begin with she natters away conversationally, reeling us in with a few witticisms (for who can deliver a witticism better than Maggie Smith?). When she forgets something, you feel like gently prompting her. It’s as if there’s this thin veil, ready to slip at any moment, that marks the difference between Brunhilde and Maggie. The slightly too long pauses as she recollects something: Brunhilde or Maggie? The knowing line: ”my memory is not what it was” – Brunhilde or Maggie? Towards the beginning of the play, when almost every word is stuttered or repeated, this can feel a little wearing, but gradually it reels you in. Hampton’s script delivers a slow unfolding of the truth, in which every line, innocent in itself, implicates Pomsel, absolves her, or damns her. Kent’s production is one of careful bagginess; there’s a slack at the beginning that gets pulled increasingly taut, like a fishing line. Smith toys with us, charms us and fools us – she has us hooked. Even at the age of 84, barely moving for almost two hours, Smith holds us bound in this trenchant cautionary tale.